This should be obscure enough and old enough to not get my friend in trouble. One of the nicest guys I know had three attractive daughters, two in high school at the time (30? years ago). The oldest daughter started getting harassing phone calls and other weirdness. 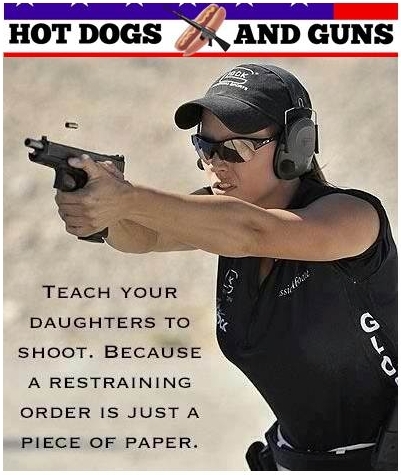 This wise man put his two oldest daughters through gun training, put a loaded .44 in the purse of each, and sent them to school that way for a number of months. I could only applaud his common sense and love.